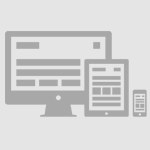 Mobile First & Responsive… Finally! Since the introduction of Responsive web design, it’s irked me that my site didn’t look appropriate on different devices and screen sizes. While I know that browsing the web on a mobile device is growing like crazy, it has been a while since I’ve spent any time working on my own site. I’m happy to say it’s finally been updated and responds to fit the different screen sizes across more devices.